A TRANSPORTATION WIN-WIN – Control of Ontario Airport is set to return to local hands this summer – finally! This is significant and it is good. It’s good for the regional economy of the Inland Empire. It’s good for the City of Los Angeles, operationally and fiscally. Offloading ONT allows LAWA to focus on LAX singularly (well, also Van Nuys). With solid assurances in place protecting the 215 existing workers at the Ontario Airport, the transfer is good for airport workers specifically, and generally, for all workers. Ironically, both historically and politically, the deal fulfills the 2006 Hahn “Regionalization” accord assuring the people of Westchester that LA would spread all that airport pain around. The people of Ontario and the communities of the entire Inland Region that runs from East Los Angeles County into San Bernardino and Riverside Counties, have long supported and encouraged the development and expansion of the Ontario Airport — pretty much ever since its earliest days as Latimer Field in 1923. At CA Fwd’s recent conference in Ontario, “A Roadmap to Shared Prosperity,” speakers including Assemblymember Cheryl Brown (AD 47, San Bernardino) celebrated the positive impact that local control of the Ontario Airport will have on the local economy. “Think about all the jobs,” said Brown. In the end, responsible, persistent and passionate local government officials — champions like Ontario Mayor pro Tem and President of the OIAA, Alan D. Wapner — acknowledged the ability of the Riverside/San Bernardino labor community to find common ground with sane local business organizations. With actual support from the people of the Inland Empire and not just the flying public, they all came together and won, resolving years and years of acrimony and conflict, much to the benefit of all. The terms of the deal are good for the City of Los Angeles and for the new Ontario International Airport Authority (OIAA), created by a joint-powers agreement between the City of Ontario and San Bernardino County to run the airport. “In August, Los Angeles Mayor Eric Garcetti coyly gave two figures with regard to the actual amount of money Ontario would fork over to finalize the transfer, saying that Ontario newspapers could call it a $150 million deal and that Los Angeles newspapers could refer to it as a $260 million transaction,” reported the San Bernardino Sentinel. Specifically, Ontario pays $30 million from reserves, assumes $60 million in debt, and makes payments of $50 million over five years plus $70 million in the final five years. LAWA transfers $40 million from Ontario’s unrestricted cash accounts and – voila! – 1967 and 1985 agreements that gave Los Angeles control over the Ontario Airport are finis! Note that in 2011 the City of Los Angeles turned down a confidential offer to purchase the airport for $50 million with an assumption of $71 million in bond debt and another $125 million for passenger facilities charges — at a time when the City could have really used the money. “When we come together we can do big things, and this is at least as big as what we did up in Owens Valley,” said Mayor Garcetti. “It will also “allow Los Angeles World Airports to be laser-focused on modernizing LAX and creating a better passenger experience for its 70 million annual passengers,” Buscaino added. In 2007, ONT flew 7.2 million passengers; in 2014 that number was 4.1 million. Just imagine what that statistic means for the life and family of an airport custodian earning $37,000 — a good job, all things considered – who was faced with a transfer to LAX, living in Rancho Cucamonga. Those were the dark years of city service. “Airlines don’t care what people say, they care what people do,” he said. “Fly from your airport, it’s the best thing to do as it gains independence.” (Brett Snyder runs the website The Cranky Flier. 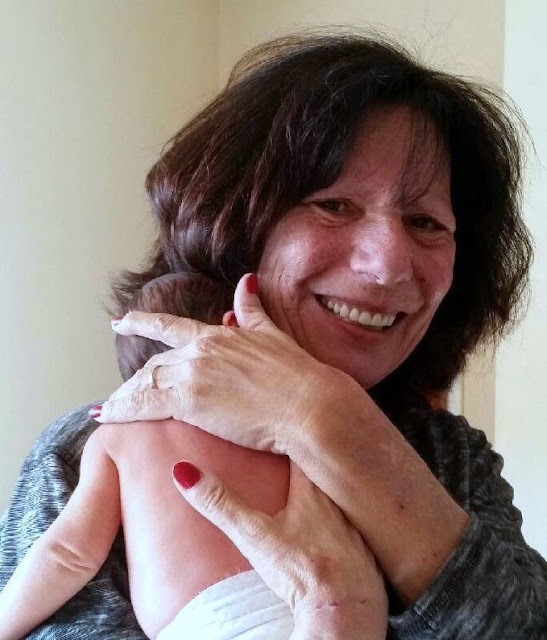 (Julie Butcher is a retired union leader, enjoying Riverside and her first grandchild.) Edited for CityWatch by Linda Abrams.